Nur Hidayah Abu Bakar is a Dean, Faculty of Design at LASALLE College of the Arts, Singapore. With extensive teaching experience of more than 14 years, She is instrumental to LASALLE’s Faculty of Design. She manages the demanding and challenging task of leading the pedagogical development and strategic growth of all the design programmes at her institution. Under her leadership, the Faculty of Design has garnered international recognition and has won major design awards, achieving great success at regional and international design competitions and showcases including Crowbar awards, Furniture Design Awards, Red Dot Awards, Young Ones New York and D&AD New Blood and Graduate Fashion Week in London. Nur Hidayah has also initiated several collaborative partnership projects with different design institutions. She has also presented a research paper at the Ubuntu International Design Symposium 2011 in Seoul, which covers The Role of Design Education and another research on Collections, Fashion Curating and the Rise of Fashion Exhibitions in Museums. 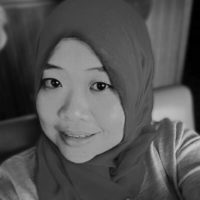 With faculty staff members, she is currently developing design capability programmes with communities in Asia and investigating issues on social enterprise for a more inclusive design culture. Recently, she was nominated by Women’s Weekly magazine for the Great Women of Our Times 2014 Award under the Education and Public Service category.